You and your oral health are top priorities with Drew Beaty DDS, dentist in Federal Way. Having created a dental practice culture of care for patients of all ages, Dr. Beaty and his team provide the best in preventive, restorative and cosmetic treatments. In fact, Seattle Met has named Dr. Beaty as Top Seattle Dentist for 2009 through 2016. Why would he earn such an honor? Read on about the services provided by this successful Federal Way dentist. While your dentist specializes in oral health care, he and his staff recognize that you are much more than a smile. Yet, the health and appearance of that smile impact important aspects of your life–self-image, oral function, appearance and systemic well-being. If Dr. Beaty doesn’t help you take care of it, help improve it and preserve it for the long haul, he has not delivered on what every patient needs and deserves. As such, he has dedicated his practice to empathetic and individualized patient care. He listens to your concerns and goals and looks into the status of your dental health. Dr. Beaty and his staff offer six-month cleanings and check-ups, with digital X-rays as needed to patients of all ages. Plastic sealants and fluoride treatments coat chewing surfaces of deeply grooved teeth to protect against decay. Tooth scaling removes plaque and tartar and treats gum disease, if necessary, along with instillation of antibiotics. 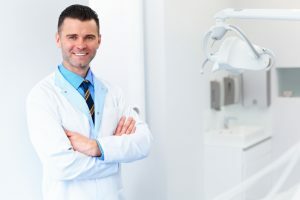 Dr. Beaty writes detailed treatment plans, including his findings on decay, gum disease, condition of existing restorations and bite and jaw joint problems. He uses the DIAGNOdent cavity detection tool to ensure any decay problems are caught early and treated. He also employs VELscope to spot signs of oral cancer. If how your smile appears bothers you, your Federal Way dentist understands. Dr. Beaty remakes crooked, chipped or discolored smiles so they look brand-new, yet natural and complimentary to your facial features. His services include porcelain veneers, professional teeth whitening, composite resin bonding and metal-free restorations. Your treatment plan will be no surprise because Dr. Beaty fully explains all treatments and discusses your options before your smile makeover begins. You can by contacting Drew Beaty DDS vand his office staff in Federal Way. They look forward to serving you and yours.